I’ve never thanked you enough for thinking of me, for searching for me after our dear father died many years ago, and for working so hard to be a mother for us three younger sisters, after our mother suddenly died. You fed me with what little we had, sometimes only water and a little bit of sugar, and you picked me up when I cried and carried me on your back. You had to take work as an housekeeper with another family so we would have something to eat. You saved money for our parents’ resting place, and have looked after it to this day. You were only a child yourself when you searched for me in many children’s homes. I can only imagine how you and our father must have felt, arriving at one home after another and never finding me. I can barely begin to imagine how many tears you cried, and how desperate you must have felt, when you promised our father on his death bed that you would keep searching for me so that we sisters could be reunited again. Thousands of tears must have fallen when you saw him leave this world for ever. How lonely you must have been in that moment, wondering how you could make a living for the rest of the sisters. You told me you hoped I would find you one day. 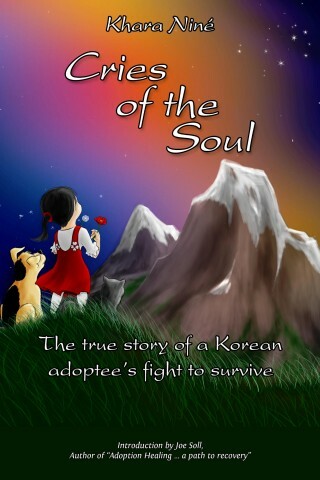 I did, after sixteen years, but no one even knew that I was outside Korea. One sentence will for ever stand out in my heart: My soul cried that moment, dear sister. When you told me: If you only had known that I had a hard life here in this foreign country, you would have come for me! You would have done all that you could to come and help me. It hurts so terribly to know so much was taken from us, and what our destiny turned out to be. You cried in Korea for years, I cried in Norway for years, all thanks to the Holt agency who took me, kidnapped me and sent me away for money. And the agency will keep getting away with it as long as the world looks upon adoption as a beautiful thing. As long as the world praises adoption. As long as there are buyers for those children. I wish the world would think about all those who are affected by adoption; not only we, the adoptees, but also our families. I will never forget the first moment when we met, when I hugged you, and I felt with all my body and soul that I was home at last. Two souls, yours and mine, finally reunited to find some peace. Dear sister. Although we live far apart you will always have a special place in my heart. We are sisters, even though we are strangers. We don’t understand each other, separated by language and distance. But I will forever remember your love for me, and that you never forgot me. I still keep your gift for me close to my heart, a very special ring. I hope to see you again before too many more years pass, and that you have peace for the rest of your life. You said we must try to look forwards; not backwards to face all of our horrors again. I will try that. It’s not easy, but I will try when I am ready to let go. When I can forgive the world for all my childhood suffering and the deep hurting in my grown-up heart, when Kyung Sook, your little sister, has found the end of the rainbow filled with peace. I don’t understand why you are so bitter, sad and very angry. If your adoptive parents loved you and were honest with you. Not ot mention supportive in finding your bio family. Surely you jest, or did you read nothing else on this blog at all? Because if you had glanced at a few other posts, you would probably have noticed that her adoptive parents weren’t supportive, weren’t honest, and if they had any love for her, they did a rotten job of showing it. If you look at the top right of the page, Khara suggests starting with “My background, in a nutshell”, and maybe work upwards from there.